We gave 26 writers from 26.org.uk the name of a station on the long route between Newcastle and Glasgow and the title of a Nick Drake song. These two elements became the inspiration for a creative piece. We didn’t set a form but asked that each piece should be able to be read aloud in under 3 minutes and 44 seconds – the duration of Nick Drake’s ‘Northern Sky’ – which gave us the project title. On finding there were actually 27 stations on route, we added another writer, and an introduction, to create a collection of 28 pieces. On 25 April, a selection of the writers got together to take the actual railway journey and performed all the pieces plus the introduction, as they travelled along the route. Nick Drake was a singer songwriter whose work failed to find a wide audience during his lifetime, but who has since earned wide recognition. 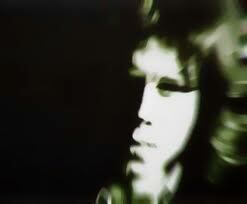 He died from an overdose of anti-depressants in November 1974, when he was 26 years old.